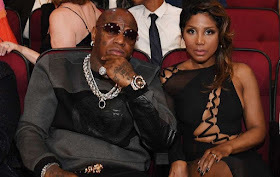 It looks like Toni Braxton and Birdman have called off their upcoming wedding, based on their latest social media updates. Speculation ramped up when Birdman updated his Instagram Story yesterday, writing, "It's over..." He later deleted the post and scrubbed his entire account clean. Similarly, Braxton removed every picture from her Instagram account. The 51-year-old "Long as I Live" singer then posted a single picture of herself in a red dress, writing, "Starting a new chapter isn't always an easy choice...but ALWAYS choose to be chosen. Cheers to a new year." Fans have also noticed Birdman and Braxton no longer follow each other on Instagram.